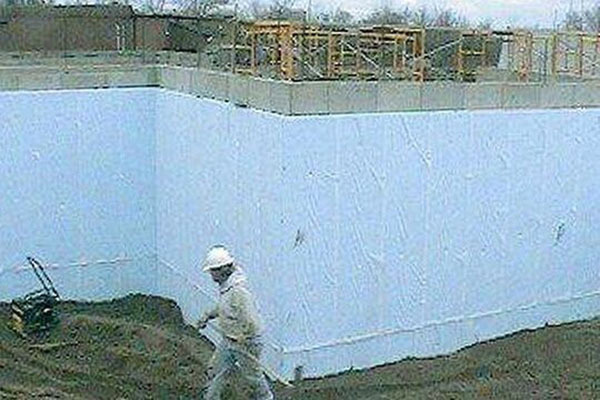 ThermaDRY® applications include: Protect, drain and insulate below grade foundation or basement walls and any other below grade structures. 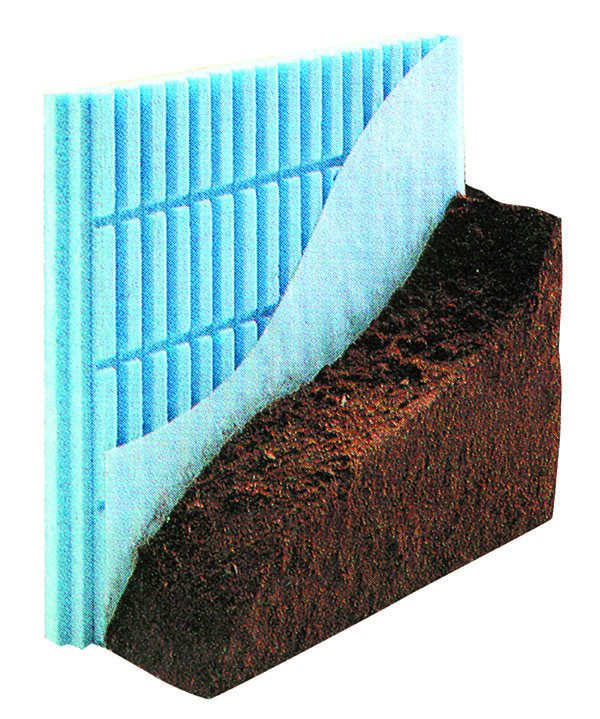 The geotextile fabric keeps soil from entering and clogging the drainage channels inherent to the ThermaDRY panels. Available in 25psi, 40psi and 60psi Dow Styrofoam to accommodate different hydrostatic soil pressures. 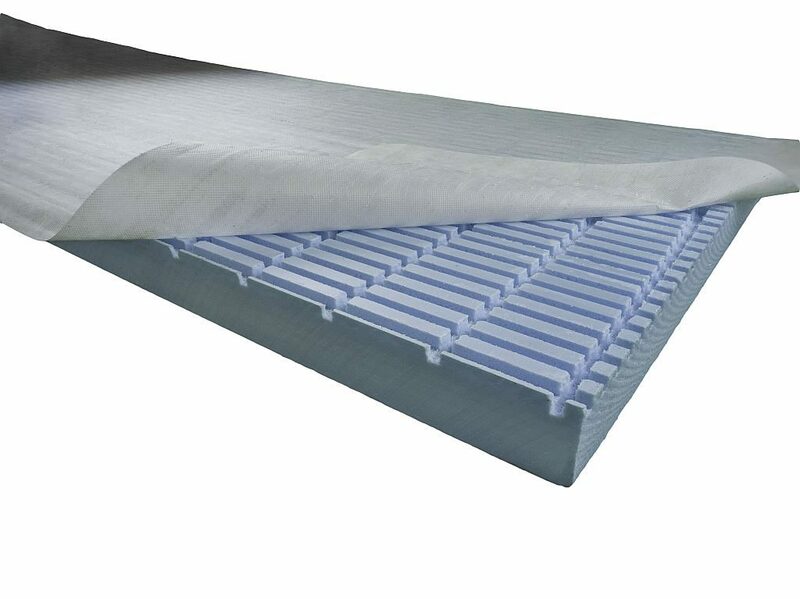 When you need to insulate and protect foundations, T. Clear’s ThermaDRY® Insulating Drainage Panels are the right choice. ThermaDRY panels can also be used for Plaza Decks where pavers or poured concrete can be installed directly on the panels eliminating the need for a costly conventional pedestal system. 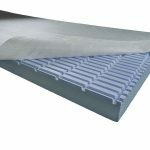 ThermaDRY 2’x8′ Insulating Drainage Panels are manufactured using 2″ Dow Styrofoam extruded polystyrene or expanded polystyrene, with one side having vertical and horizontal channels cut into the panel and a factory-applied filter fabric adhered over the channels. 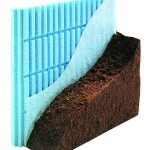 The spunbonded geotextile filtration fabric helps prevent soil from entering and clogging the drainage channels. This fabric also overlaps the sides and ends of the panels. This prevents the edge channels from being clogged at the panel joints. 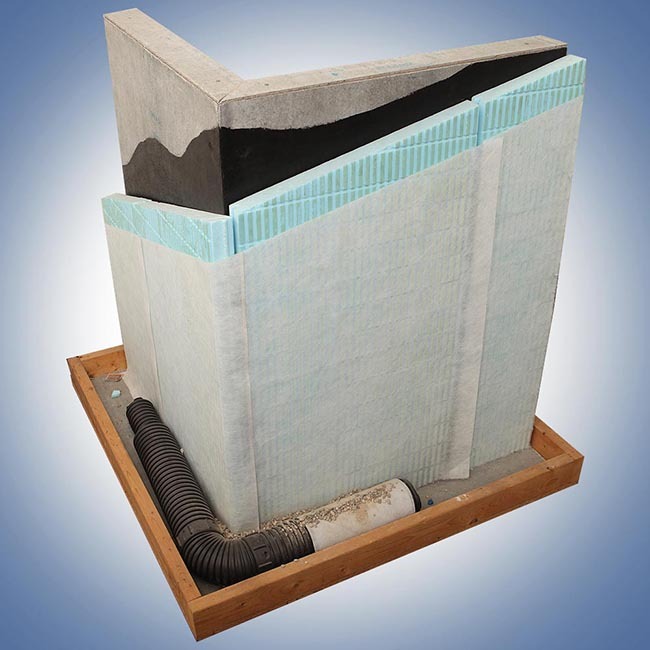 ThermaDRY Insulating drainage panels come in three types – Type 750, Type 1250 and Type 1750. 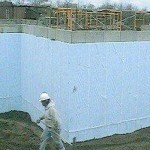 Each can be used to full advantage in varied structures other than basements or foundation walls. They can be used to drain, insulate and protect bridge abutments, retaining walls, earth-sheltered structures, culverts, lagging or forms. Types 1250 and 1750 can also be used for horizontal applications, such as Plaza Decks.